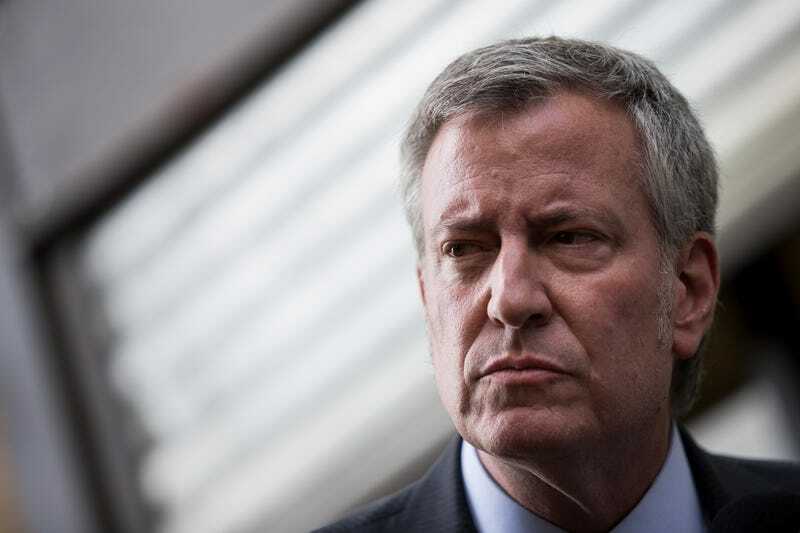 “This is the epicenter of a measles outbreak that is very, very troubling and must be dealt with immediately,” the mayor said at a press conference in Williamsburg announcing the order. At last count, there have been 285 diagnosed cases of measles in Brooklyn and Queens, primarily among the Orthodox Jewish community. Though the order applies to anyone living in Williamsburg, health officials will (for now) only reach out to people who might have come into contact with infected individuals and confirm their vaccination history. Those found unvaccinated will then be told to get the shot. Rockland’s ban came with the potential threat of six months jail time and/or a $500 fine, since it would be considered a misdemeanor. Under New York City law, violating this order would instead incur a maximum $1,000 fine. At the conference, Health Commissioner Barbot said they had received reports of measles parties, events where parents intentionally expose their healthy children to a measles-infected person. But the evidence that these parties have ever really existed is shaky and anecdotal at best. On the other hand, Kentucky Governor Matt Bevin did recently claim that he exposed all nine of his children to a chickenpox-infected person. Chickenpox is another preventable disease that’s starting to bubble back up through outbreaks in the U.S. According to the Centers for Disease Control and Prevention, there are no less than seven ongoing outbreaks of measles, spread across five states, in the U.S. right now. And the current tally of cases (465 and climbing) is already the second largest number of cases reported in a year since the disease was formally wiped out in 2000.